It goes without saying that some of the highest rated tennis facilities in the world can be found here on Hilton Head Island. But we'll say it anyway. Tennis is truly woven into the fabric that makes up the Hilton Head Island experience. For years, tennis professionals from around the world have traveled to Hilton Head to teach eager students or hone their own game. Hilton Head is also the home of the International Golf and Tennis Academy, which is highly acclaimed for training younger players. Whether you are a beginner or play the circuit, there is a court or two or three available for you. 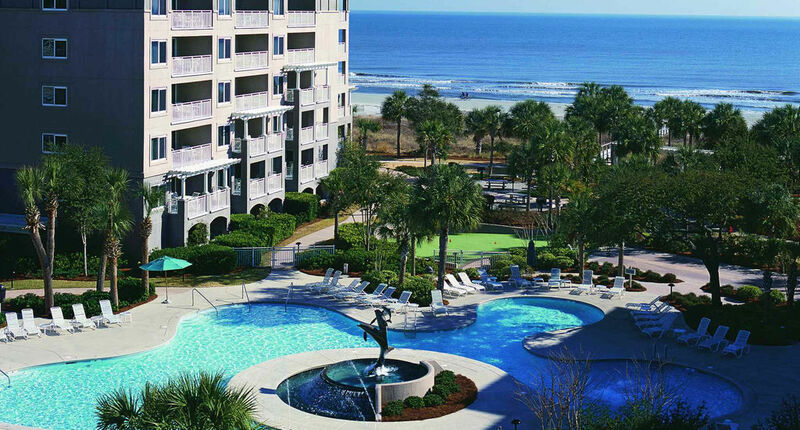 Beginners can take advantage of the numerous teaching facilities located in all of the most sought after resort areas on Hilton Head Island. Experienced players will find their biggest challenge off the court will be the choice of which highly ranked tennis resort to play each day. Play day or night, hard court or clay, it's all here for you, Mr. & Ms. Tennis Enthusiast. Tennis packages include lodging, personalized instruction and playing time at the Stan Smith Tennis Academy at the Sea Pines Racquet Club. Lodgings are available at the Inn at Harbour Town or in deluxe villas within walking distance of the club's courts. Whether you're just beginning, hoping to brush up on your game, or if you hope to challenge world-caliber pros, there are sessions tailored to your needs and your budget. Two-to four-night rates are available. Pricing is seasonal and based on availability. Taxes and resort fees are not included. Blackout dates may also apply. When coming to the island to play tennis you have many great options of places to stay. Some of the best hotels aren’t necessarily at the Tennis Clubs themselves, but at the Marriott Hotels & Resorts located on the island. They are a few different options and all are conveniently located near the tennis clubs. All of these resorts have very nice and comfortable rooms. They can be a little pricey, but everything on the island is. Before booking your room you should check for any Marriott coupon codes on Coupon Dad to help save you some money. Our readers often save up to 40% off on our Marriott stays by using codes from their site. Here are the top Marriott Resorts on the island in our opinion. They are a few more that we don;t have listed but we may add the information on those resorts in the future. Enjoy your stay and your tennis matches! Very luxurious Marriott resort with 2 bedroom, 2 bath villas with fully equipped kitchens. This is a four star resort located on the beach and even is in the Trip Advisor Hall of Fame for excellence. You can’t go wrong staying here. Another great Marriott resort on the beach. This one is a bit farther away than the others but still very easy to get to the tennis clubs from the hotel. Also are two bedroom villas with fully equipped kitchens. These villas also have private balconies that you will love relaxing on in the evenings. This is two Marriott Resorts located next to each other on Shelter Cove and both are great places to stay. Most rooms are also 2 bedroom villas with fully equipped kitchens and private balconies. Free Wi-Fi and no resort fees as well as a outdoor pool that’s a nice place to take a dip after an afternoon of tennis. This beautiful hotels sit on 6 acres of beach front property inside of the famous Sea Pines Plantation. These are also two bedroom, 2 bath villas. They have fully equipped kitchens and private balconies or patios. The resort has two pools, a splash pad and three whirlpools. The scenery is some of the best on the island and you are sure to love the area.